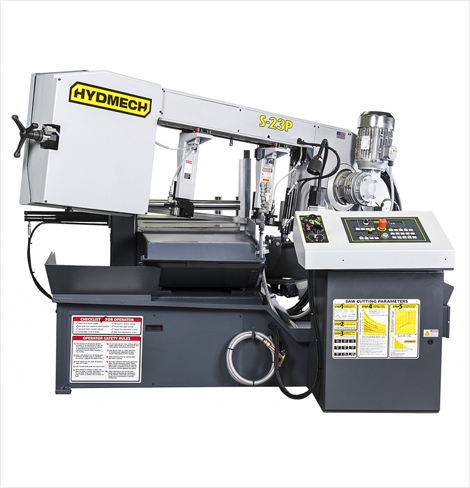 Description: The S-23P is a semi-automatic horizontal pivot band saw providing exceptional miter cutting capability for light to medium duty applications. 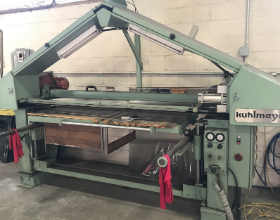 Featuring a semi-automatic mode control with an LED readout for blade speed, blade tension, parts counter, head height adjustment, laser light, amperage draw of blade motor, cut duration, head position, and overall machine run time. All offered in several language choices. 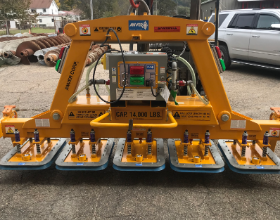 An attractive option offered on this machine is the direct down feed option which provides easy adjustment of both head feed rate and cutting pressure. 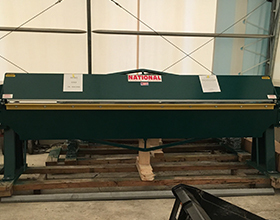 The S-23P miters from 90° to 60°. 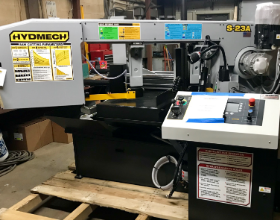 Featuring a 16"H x 20"W capacity at 90°, 5.5 HP motor, and 1 1/4" blade, the S-23P semi-automatic horizontal pivot band saw is built solidly to give you maximum productivity.